For starters, it’s hidden in almost everything you eat. Doctors, nutritionists, and even other health “experts” will tell you that this food is “essential” to your health. How wrong could they be? Now, Dr. Raymond Peat has been outspoken regarding the dangers of this food for decades. However, I never realized just how dangerous it was until I began to look at the research, a little of which I’m about to share with you in just a second. The reason this type of food is so devastating to your thyroid is because it blocks your thyroid function at all five levels of your Thyroid Hormone Pathway. 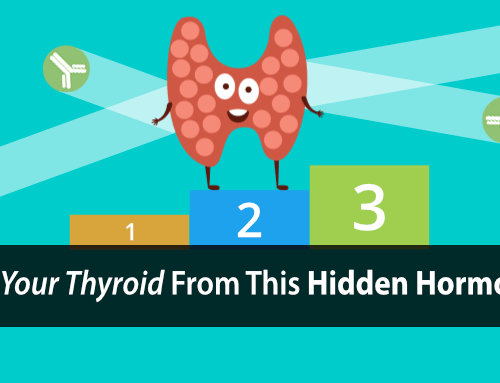 This infographic shows all five levels of your Thyroid Hormone Pathway. Blocks your thyroid gland from releasing thyroid hormone. Blocks your thyroid hormone transport proteins from carrying and delivering thyroid hormone to your cells. Blocks your liver from converting T4 thyroid hormone into the active T3 thyroid hormone that your cells need. Blocks your active T3 thyroid hormone from binding to your thyroid hormone cell receptors. Blocks your cells from being able to metabolize/use active T3 thyroid hormone. 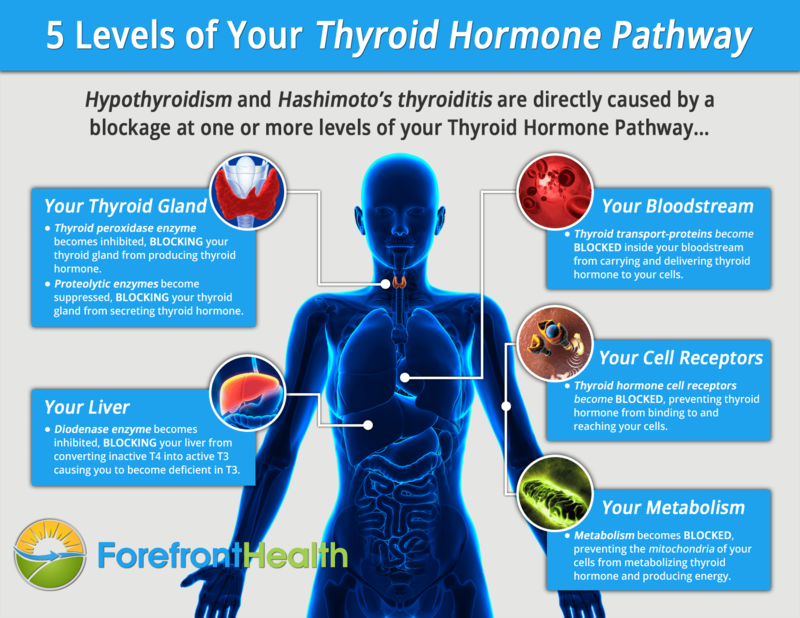 This is extremely important to understand because… all of these blockages prevent you from getting active T3 thyroid hormone to your cells, and prevents your cells from using what little active T3 thyroid hormone they do have available. So, what exactly is this dangerous food? It’s actually a subset of fats called polyunsaturated fats, or PUFAs for short. Some of these fats are oftentimes referred to as “Essential Fatty Acids” (EFAs) because they were once believed to be essential in the human diet. Yet, they are NOT essential at all, even though they are still named such. In fact, many research studies have shown that these fats contribute to a number of health issues and diseases, including hypothyroidism. I’m going to show you exactly how these PUFAs are sabotaging your thyroid health and what you can do help save your thyroid. Your body depends on enzymes, called proteolytic enzymes, needed to release the stored thyroid hormone within your gland into your bloodstream. Studies, such as the one below, have shown that PUFAs can strongly inhibit various proteolytic enzymes, thereby directly blocking your thyroid gland from releasing the thyroid hormone you need. PUFAs, along with excess estrogen, are two common causes of low T4 levels found during routine thyroid lab testing. Inhibition of chymase activity by phosphoglycerides. Once thyroid hormone is released from your thyroid gland, it must be transported to various places in your body by certain thyroid hormone transport proteins. Studies, including the one below, have shown that PUFAs directly block these transport proteins from carrying and delivering both T4 and T3 thyroid hormones to your cells. This means that not only can’t you delivery active T3 thyroid hormone to your cells, you can’t deliver adequate inactive T4 thyroid hormone to your liver to be converted into the active T3 thyroid hormone that your cells need. Effect of long-chain fatty acids on the binding of thyroxine and triiodothyronine to human thyroxine-binding globulin. If your thyroid gland can release adequate T4 thyroid hormone, and your transport proteins can deliver that thyroid hormone to your liver, your liver must still convert that T4 into the active T3 thyroid. In order for your liver to perform this conversion, it requires another enzyme called deiodinase enzyme. Yet, studies have shown that PUFAs strongly inhibit this enzyme, directly blocking the conversion of thyroid hormone in your liver. This is a common cause for low T3 levels, even when T4 levels are adequate, on routine thyroid lab testing. Evidence for an inhibitor of extrathyroidal conversion of thyroxine to 3,5,3′-triiodothyronine in sera of patients with nonthyroidal illnesses. Once your liver converts your thyroid hormone into the active T3 form, transport proteins must carry that T3 to your cells. As we’ve already established, PUFAs directly block these transport proteins. However, what little active T3 thyroid hormone that does get transported to your cells still needs to bind to the thyroid hormone cell receptors of those cells for your cells to use it. And research shows that PUFAs also block the binding of your active T3 thyroid hormone to these cell receptors. Inhibition of nuclear T3 binding by fatty acids. 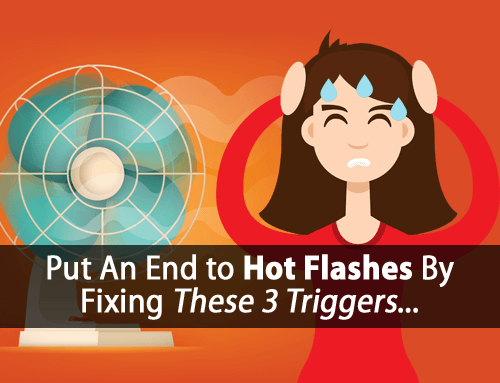 We talk a lot about basal body temperature and how it is directly correlated with your thyroid health. This is why we use it to assess your thyroid function, far more accurately than blood tests today. But, what’s important to understand is that anything that blocks your metabolism and lowers your basal metabolic rate negatively affects your thyroid health. And research has shown that PUFAs, or “Essential Fatty Acids”, do just that. They block your metabolism. Avoiding PUFAs alone has been shown to increase metabolism significantly. The effect of essential fatty acid deficiency on basal respiration and function of liver mitochondria in rats. So, as you can see, PUFAs are the worst food for your thyroid as they are involved in directly blocking your thyroid function at every single level. But…what exactly are PUFAs and how can you protect yourself from them? One way to tell if an oil is highly “unsaturated” is that it will be liquid at room temperature or below. So, if you put an oil in your refrigerator and it doesn’t solidify, then you should toss it in the garbage where it belongs, unless you plan to use it for non-dietary purposes (PUFAs were originally used as a paint base). And this goes for other foods and products that contain these oils, such as salad dressings. The only exception is olive oil, which still contains PUFA, but also contains vitamin E, which provides some protection from the PUFAs negative effects. Because PUFA oils are so cheap, they are used widely in packaged foods, most commonly vegetable oil or soybean oil. 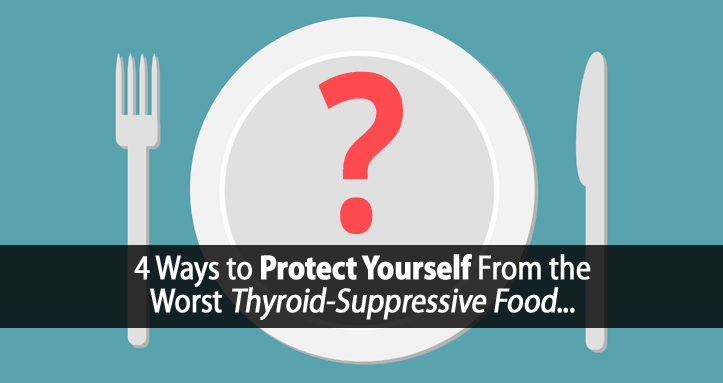 Although they may be easier to prepare, packaged foods are almost always harmful to your thyroid. And don’t be fooled by “health claims” on package labeling. Aside from being promoted as “essential” to your health, PUFAs are also still being promoted for their supposed heart health benefits, even though they have been shown to increase your risk of heart disease. In most cases, if the packaging states various health benefits, it’s likely unhealthy for you and your thyroid health. For many of the same reasons as avoiding packaged foods, you’ll want to limit how often you eat out at restaurants as well. Restaurants use almost exclusively PUFAs for cooking their foods because they are so cheap. And the cheaper your meal, the more profit restaurants make. If you do eat out, it’s best to request your food grilled, and without the use of oil. But it’s still impossible to avoid all PUFAs outside your home. So, it’s still best to protect yourself as much as possible. You can do this by using a high-quality pure Vitamin E supplement, such as our Forefront Health Vitamin E Complex. We use this with all of our clients. But be careful. Most vitamin E supplements are thinned with PUFA oils, which defeats the entire purpose. Avoiding PUFAs is extremely important in restoring thyroid function. However, avoiding them is only half the battle. The other half is protecting yourself by replacing those thyroid-suppressive PUFAs with thyroid-supportive saturated fats, like coconut oil and/or butter. Even if you remove almost all PUFAs from your diet today you can’t expect immediate results. The PUFAs you have already eaten have become stored directly in your fat cells. And the half-life of fat cells is rather long. As Dr. Raymond Peat points out, it can take up to a year to rid your fat cells of the majority of PUFAs they are currently storing, and up the three years to rid them from the fats stores in your brain. Although it will take time, the health benefits of ridding yourself of PUFAs are huge. I highly advise you use all of the recommendations above for protecting yourself against PUFAs. And while avoiding PUFAs is essential for overcoming your hypothyroidism by unblocking your entire Thyroid Hormone Pathway, there’s still a lot more you can do to help yourself. 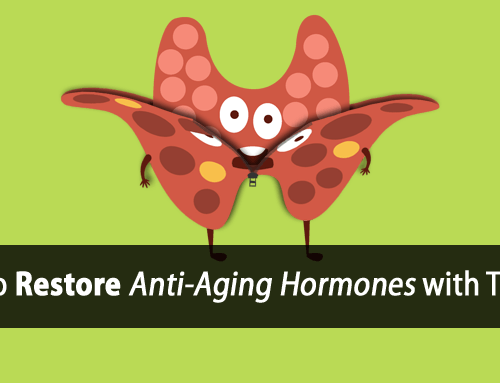 There are other factors that are blocking your Thyroid Hormone Pathway too. And in the 3 Food Triple-Thyroid-Boosting Daily Protocol, we’ll show you exactly how you can start using your diet to further unblock your Thyroid Hormone Pathway and fix some of the other many underlying causes of your hypothyroidism. 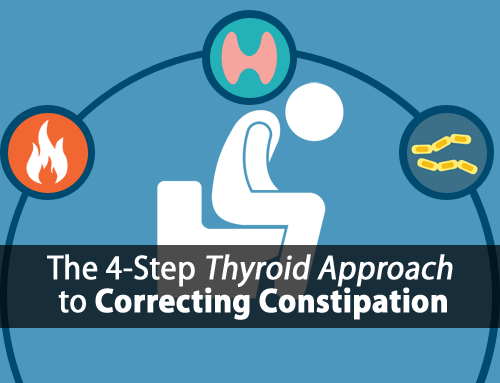 Want to overcome your hypothyroidism or Hashimoto’s thyroiditis? This daily protocol is the easiest way to get started. It’s based on real science and research, it has been tested and proven by thousands of hypothyroidism sufferers, and it just works, which you will see for yourself. 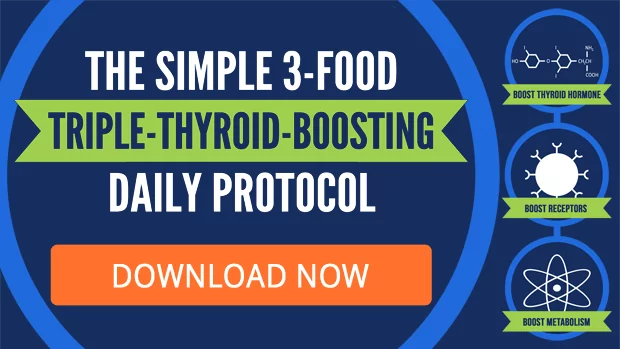 Click here to learn more about the 3 Food Triple-Thyroid Boosting Daily Protocol. Wow! Three years to get rid of the PUFAs! Thanks for sharing this article. It helps me to see things like this to guage my patience in healing. Hi Kim, yes those oils are absorbed through the skin as well. So, it’s best to avoid them in skin care products too. I use a Eye Makeup Remover that only contains Organic Coconut and Jojoba Oil by Desert Essence, would that also be Thyroid blocking??? Why does it block it in some people but not others? Hi Diana, it’s suppressive in all cases. Does this apply to a Hyperthyroid condition? Should a person who had an episode of the thyroid pumping out too much hormone and causing the heart to race (Pulse at 200), change to the coconut oil and butter? Hi Jackie, yes it would still be recommended. And I would highly recommend you use the following testing protocol to accurately assess your thyroid. You might be surprised with what you find. What about flax oil? Good or bad? I’m wondering about that stubborn fat that seems to get stuck and stay as we age. Very unsightly, deposited in little areas around the body. But I’m more concerned about the extra toxic load they hold. Back in my 20’s – for years I consumed a ton of safflower oil margarine thinking I was doing myself a big favor. I’ve been able to avoid PUFA’s for a few years now. Tom, I can’t help but wonder if I might benefit even more from a little micro liposuction at some of the spots since it sounds like they are likely still holding these PUFA toxins. It may help my circulation even more. I’ve never had any lipo before nor any fat removal therapy and I’m not the type to obsess over what should be a naturally attractive healthy round female figure. Please understand I am not afraid of healthy fat. I just want to know what you think of that idea, or if you know of a better way to dissolve that stubborn, toxic fat without it having to go back through the body systems. Thanks for your always well written articles – so deeply helpful ! Hi Mindy, I would think that the stress that the liposuction would place on your body would outweigh the dangers of the stored fats. They aren’t so dangerous when stored, but are quite dangerous in the bloodstream. This is why we work to detoxify them slowly. So basically only use coconut oil is the best choice. I like your articles, and think that Ray Peat makes a lot of sense… but I’m not so sure about this. The studies are interesting, but they are in vitro rat studies, so I question how much they actually apply to humans. There is also a school of thought that says PUFAs, especially Omega 3s may actually increase sensitivity to thyroid hormone, so production is lowered as a result – much like increased insulin sensitivity results in lower serum insulin. Hi Joe, I too wish there were human studies available for everything, but unfortunately that’s not the case. But they use rats for a reason as well. Keep in mind that whether or not PUFAs are oxidized prior to consumption, they will still oxidize within the body as oxygen and body heat are both readily available within the body. I think the studies mentioned provide adequate evidence against the thyroid hormone sensitivity theory. Also wanted to mention some other points that you might find helpful that are related directly to human studies. For example, hypothyroidism is far more common among women than men and women show much higher concentrations of omega 3’s in their tissue (http://www.ncbi.nlm.nih.gov/pubmed/15531662, http://www.ncbi.nlm.nih.gov/pubmed/17158413, http://www.ncbi.nlm.nih.gov/pubmed/18234128). Do we need omega 3? It is supposed to be anti-inflommatory and very important for the brain? My thyroid goes into hyper drive. It causes my body to eat itself. My metabolism rate is high. Has been all my life. Now I can’t seem to gain weight or keep any on. Maybe I missed it, but I don’t see where you answered the question about coconut oil – it thickens below room temp, but I thought it was one of the few good oils? Hi John, yes, coconut oil was discussed in the article. Hi Tom, What is your opinion of avocado oil? Hi Rachelle, it’s very unsaturated which is not desirable and studies have suggested that it is toxic to the liver. Tom, what about liquid MCT coconut oil? There’s nothing wrong with MCT oil. With hypothyroid and hashimoto’s my LDL is elevated. Is there any Omega 3 that will be safe for me to take to try and lower the number. I have also been told Niacin ir red rice yeast would help. What are your thoughts. I do not want to take something that might make my condition worse. If this is true about Omega-3 fish oil, which I have been taking and pushing on people for years, then I’ve almost seen everything. And indeed, it does seem my low thyroid issue may be worse, though there are numerous other possible causes. 1. They both contain lecithin. No doubt it’s not a huge amount, but wouldn’t that be the kind of PUFA we need to avoid? 2. Are these good protein sources for Hypothyroid sufferers? It seems to me that even though they are not “bone broth” powders, they might still be very good. 3. The Optimum Nutrition version has some regular sugar in the ingredients, but BodyLogix is stevia sweetened. I know you said that sometimes even sucrose is beneficial for Hypothyroid sufferers re the sugar craving or need for carb issue. However, what about the statements out there that sugar causes inflammation? Wouldn’t it really be preferable to avoid sugar (sucrose) normally except when it is not practical to do so because of issues like that? I already have the BodyLogix Vanilla Whey Concentrate and am almost finished with it. many people has thyroid. I don’t have any idea whish food is bad or good for me. Because my problem is identical like a I has but I don’t have de thyroid. Please Help me. I would appreciate your comments on John’s question about lecithin in protein powders. I make my own liposomal Vit C with lecithin powder. If you feel this is no good, please could you recommend an alternative. Hi Kate, I might be more concerned over the vitamin C. Vitamin C used in food preservation and supplements is a common source of heavy metals. There are much healthier ways to get more than adequate vitamin C. As for the liposomal, it depends on the type of lecithin used. Soy lecithin should be avoided as it has been shown to be quite estrogenic. Hi! What is the Vitamin E derived from in your Forefront Health Vitamin E Complex? I’ve been looking for a product like this where the Vitamin E is not from soy. Thanks!